The Lightroom Develop Tutorials will help you master the art of optimising and stylising your photographic images. Each tutorial comes with a step-by-step movie and a link to download the Raw tutorial image so you can follow along with the movie. 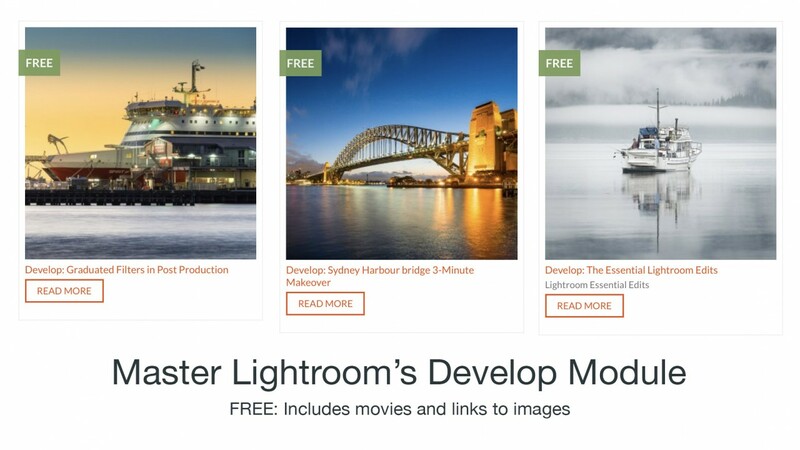 If you need to master the develop module of Lightroom there is no better way that doing these step-by-step tutorials to get some hands-on experience. This entry was posted in Announcements, Blog, Learn, Lightroom, Post-Production, Tips and Techniques. Bookmark the permalink.